Dependable performance meets variable speed control. The STIHL FS 94 R trimmer delivers one of the best power-to-weight ratios in its class, weighing just over 10 pounds – great for maneuvering around hills, landscaping stones and other terrain. Its innovative control handle features an ECOSPEED throttle set wheel, allowing you to set the most effective throttle speed for a specific application such as low throttle around delicate plants. 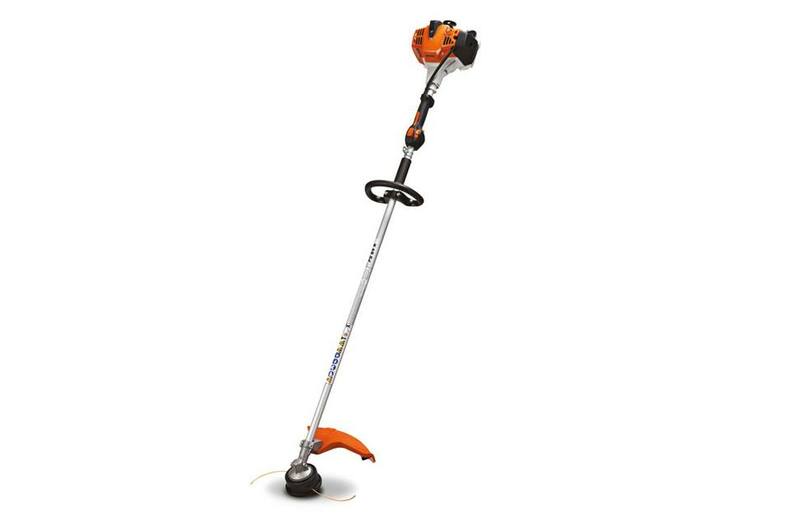 Combined with a high-powered, low- exhaust-emission engine and anti-vibration system, this grass and weed trimmer is a great everyday landscaping tool for trimming professionals.